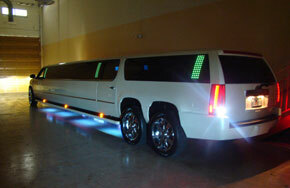 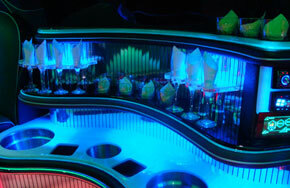 Our brand new Fort Myers Cadillac Escalade stretch limousine can transport up to 22 guests comfortably. 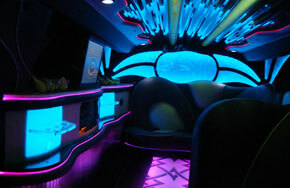 This beautiful white limousine features: luxurious leather seating, LCD screens, CD/DVD players, lighted bar areas, mirrored ceilings, fiber optics, neon lights, and great stereo systems. 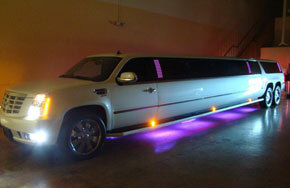 This Fort Myers Escalade Limousines is perfect for weddings, romantic nights out, bachelor and bachelorette parties, airport / seaport transfers, corporate transportation, and much more. 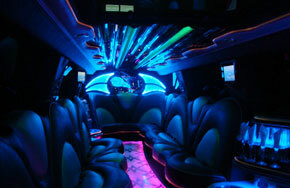 Contact us now for a free quote or to setup a reservation. 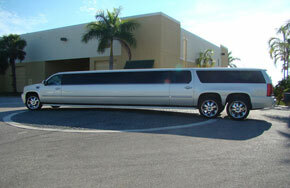 Call 239-288-0558 or click on our Live Web Chat.